Recent weekends have been fun and interesting, with Chennai giving us a break from the usual. We went from chilling on the coast last week to enjoying some amazing performances this week. 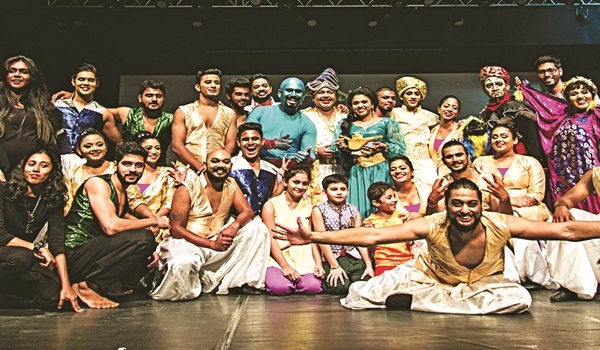 We started off with some family fun at Aladdin.Presented by Record Production and Studio 360, the modern interpretation of the classic saw an audience of all ages really enjoying themselves, where the best part of course was the music by Karthik Raja. We even caught a couple of references to a�?WhatsAppa�� thrown in for good measure. A beaming Aladdin was carried through the crowd and had everyone going nuts. Other favourites included a�?Jafara�� and a�?Geniea��. Mid week, it was all about pampering and looking your very best, with the opening of Wink Salon, the brainchild of makeup artist Samantha Jagan. Having worked her wonders on Chennaia��s bold and beautiful, the new space on TTK Road, represents what shea��s all about. Actors Siddharth and Andrea did the honours at a casual evening. The beauty trail continued with a special event at Phoenix MarketCity, with renowned DermatologistA� Dr Rashmi Shetty. The exclusive discussion saw a select group of women who were encouraged to ask questions and clear doubts. Interestingly enough, while modern practices were discussed, the conversation came back to good ol fashioned coconut oil and ghee, both of which have found favour with major international celebrities of late. Later, the ladies spent one-on-one time with the experts from Clinique, while they nibbled on bite-sized treats. Meanwhile, Sunday evening found us at the grand finale of The Parka��s New Festivala��s 10th edition, attending a specially commissioned performance that had a fascinating take on the mythological story of Lord Ganesha.A� An intense piece by Mumbai-based Yuki Ellias, The Elephant In The Room saw the actor a��who has performed in UK, US, Canada, Australia, Italy and Indiaa��portraying a young boy with a pachyderm head. Ellias proceeded to don multiple charactersa��set apart by refashioning a silk cloak, her body language and entertaining dialectsa��making for a fascinating solo that eventually got the actor a standing ovation.